CARNEADES Project Services supports its clients to deliver major investment projects on time and on budget. As a Managed Services Provider, CARNEADES covers all areas of contemporary project management for the wind On- and Offshore and grid transmission industries. Our experts are highly specialised in particular in Claim, Contract and Commercial Management. With extensive experience gained from transportation, construction and wind industries our teams have a detailed insight in the Legal and Commercial Project Management best practices. Our clients are mainly leading offshore and wind farm operators / developers, balance of plant suppliers or wind turbine manufacturers and we support them on a consulting or staffing basis or through trainings. For over a decade, CARNEADES experts conduct training seminars and workshops in requested locations as well as in-house. Our seminars and workshops perfectly combine the synergies of theoretical principles and practical requirements.. The seminars are held by experienced internal or external lecturers with a high level of practical experience. 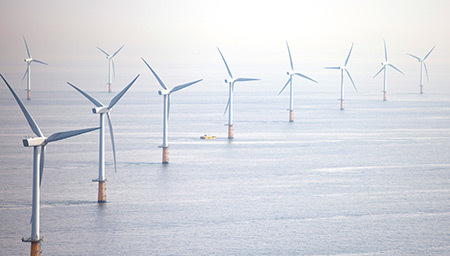 CARNEADES offers a wide range of comprehensive trainings tailored to the on- and offshore wind and grid connection industry. CARNEADES GmbH & Co. KG in Braunschweig is the leading special service provider for Claims and Contract Management in all engineering and construction projects, with an intense focus on the mobility sector. We offer fast intervention teams to strengthen your project on the spot or just make use of our staff only at times when and to the amount you really need to. Acquire knowledge and long term know-how by training your employees in our seminars. Optimize your financial project result by trusting in our services in Claims Management. Carneades Legal LLP is a dynamic and innovative team of lawyers. We have an industry focus on energy and infrastructure. From engineering mega projects to sophisticated service level IT agreements – anything where technics is involved, we can add a special benefit. Our partners have a track record in complex projects which always demanded a special solution, taking not only legal aspects into account. Being based in Hamburg, we take stock in international business, especially clients with interest in taking a stake in Hamburg’s offshore wind industry. CARNEADES provides Consulting Services for all aspects of Commercial Project Management. This incorporates Contract Management, Claim Management, Controlling, Risk Management and Scheduling. Our Consulting Services are provided for Offshore Wind, Onshore Wind and Grid Transmission Projects by our own experienced CARNEADES team members. With our legal, commercial and engineering background we are confident to mitigate your project risks significantly. Because we consult for result! CARNEADES is aware of the volatility in the project business and has therefore prepared a flexible staffing infrastructure to meet our clients’ needs and requirements. We share with you our strength of skilled and experienced professionals for a short or long term period. 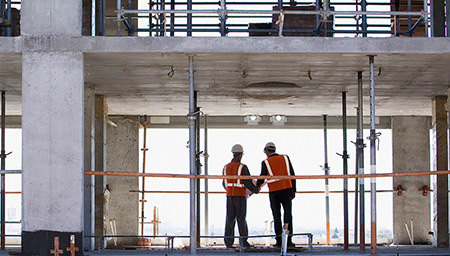 Our experts consist of Contract & Claim Managers, Quantity Surveyors, Legal Councilors, Procurement Specialists and other project relevant professionals. CARNEADES strength is to provide excellent individuals or well-rehearsed teams to work on your project. CARNEADES offers a range of comprehensive trainings tailored in particular for the wind onshore, offshore and grid transmission industry. The trainings cover in particular the fields of Contract and Claim Management and they are designed for professionals involved in any stage of a project (Development, Execution and Operation). 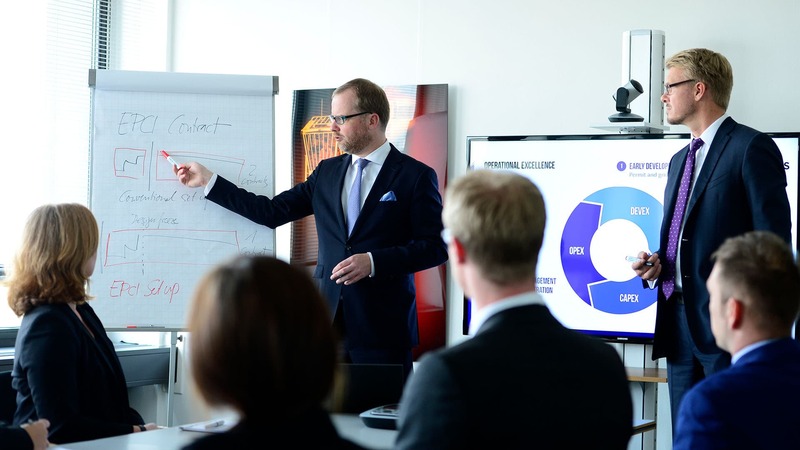 The broad experience CARNEADES gained in the relevant model contracts – such as LOGIC, BIMCO, FIDIC and EPCI contracts – is being connected to practice-oriented examples. Your construction project is in delay or is exceeding cost? You don't have access to the tunnel where you shall build a metro into? You shall pay for a variation that seems to be very much on the high side? With our claims and contract management services, these are the topics we care for in our daily business. Disturbed or obstructed construction projects all over the world are calling in our experts to solve difficult situations in project execution with their best practice know-how, strategic thinking and negotiation skills. Documentation is the key to all of our services that is why we have established our own claims management software. We provide teams with mixed professions and experience, with legal, technical and commercial skills. 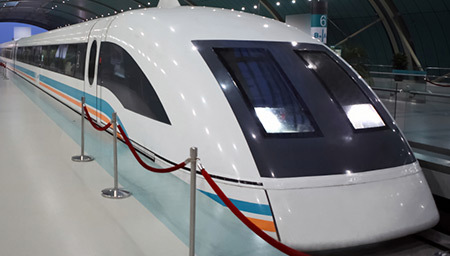 We accompany projects in every life cycle phase, from the very beginning, like feasibility or tendering, way down until solution to any disputes, like support for DAB or arbitration procedures. However, our main focus is contribution to the execution phase, to avoid any later legal proceedings and to find a solution in time for the benefit of the project. Carneades Legal LLP thinks different! We are of the opinion that you deserve more from your law firm — more cost-certainty, more efficiency and more value. Combined with a personal touch. That’s why we created Carneades Legal LLP. Our founding partners have worked before within the industries they now advise for. That is why we have a special connection to the legal problems our clients want us to solve. Tailor made solutions for our individual clients are making the difference. Our strong back office can easily cope with cases that require voluminous research or documentation handling and management. We have a special experience in DAB or arbitration proceedings, both as client’s representative and appointed arbitrator. We see ourselves as a trustworthy representative for our clients to make them having more time for daily business and to have us dealing with the legal challenges. (1) Für die Inhalte der Dienstanbieterin kann trotz sorgfältiger Recherche keine Gewähr übernommen werden. Insbesondere sollen bereitgehaltene Inhalte keinen Ersatz für individuelle Wirtschafts- oder Rechtsberatung darstellen. Sämtliche Inhalte der Dienstanbieterin unterliegen dem deutschen Urheberrecht. Eine Übernahme von Inhalten ist nicht ohne die ausdrückliche Erlaubnis der Dienstanbieterin gestattet. Inhalte Dritter sind als Solche gekennzeichnet. Benannte Marken sind Eigentum seiner jeweiligen Rechtsinhaber. (2) Die im Rahmen des Angebots der Dienstanbieterin enthaltenen Hyperlinks (Links) auf fremde Inhalte Dritter sind entsprechend als Solche ausgezeichnet. Die einzelnen Inhalte wurden zum Zeitpunkt der Aufnahme auf mögliche Rechtsverstöße geprüft. Spätere Änderungen sind nicht ausgeschlossen und entziehen sich einer der Kontrolle sowie der Einflussnahme der Dienstanbieterin. Die Dienstanbieterin erklärt sich bereit einen Link zu einem fremden Inhalt bei Bekanntwerden eines Rechtsverstoß zu entfernen. © 2016 - Carneades Project Services GmbH. Alle Rechte vorbehalten.